Is your business website driving traffic and revenues as per your expectations? If you seem to lose customers and missing out opportunities, then the problem to your solution lies in bringing changes or updating your site as per the latest technologies. One problem that most business owners usually face is to find enough time to keep their website upgraded with the latest technological changes. Your website that does not meet the needs of the customers and is not fresh and appealing is just like a static brochure doing injustice to the growth of your business. 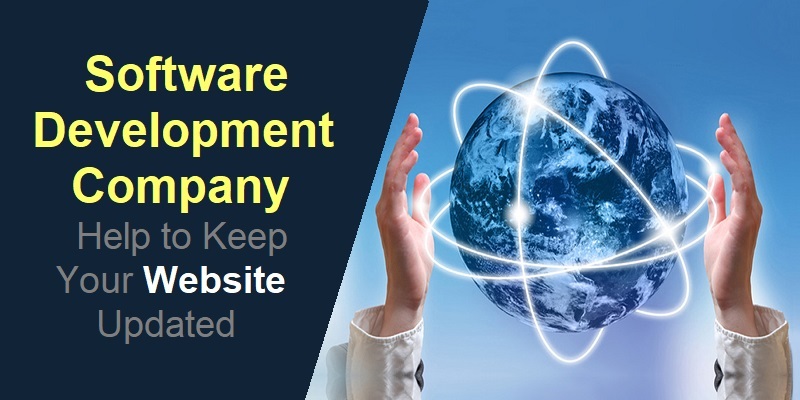 If you are lagging behind, it is time to consider hiring an expert software development company that can help you with regular updates and maintenance of your site. Though the initial website project may be critical to build, ongoing maintenance can really make your website shine. This is exactly where you will start to maximize the return on your investment. How a web development company can help in maintaining your website? Most website offer various features and functionalities to the visitors and are often complex software applications. Just like your computer system, websites too need to be kept updated for performance reasons and this means, the software should be regularly updated as well as the plugins and themes so that they offer the best performance. But before updating your software, it is important to take a backup of your site so that for any issues you can easily recover it. Websites often contain thousands of lines of codes and also depend on specific software. Cyber attackers discover the vulnerabilities in the codes and take advantage of them. Your custom software development company can help to keep your website secured by keeping your web hosting server’s software updated with the latest security releases and patches. If in any case, your website gets hacked, you can easily clean up the site and also restore the data. Regular maintenance of your site will place you in a better position in case of such situations. With increased market competition in online business, there are numerous features and updates that attract the visitors. The trends keep on changing from time to time based on the needs of the customers. Keeping your website updated with the latest features help to capture business opportunities easily and turn the visitors to customers thereby generating higher sales and revenues. Since every business has its own requirements, there is no one-size fits all approach to rank a page in the search engines that are constantly changing the algorithms. Custom software development companies can help you to keep your website updated as per the latest search engine algorithms through design, content and navigational refreshes. Search engines love fresh and well maintained sites and this will help to attain a higher ranking in the SERPs. In case you have not updated your website in the past few years, then it is likely that your website is not mobile friendly. Responsiveness is very essential nowadays, as lots of people now access the internet for availing services or products. Google also gives priority to those sites that are responsive and in case your site is not yet mobile friendly, then it will have great impact on the search results. Your software development partner can help you to optimize your websites so that it has a quick loading time as customers are not willing to wait more than a few seconds to load. A fast loading site will often help to attract visitors and bring in more business opportunities. Thanks for sharing a great way to improve our business and website update. Obviously, i will Hire an Expert Software Development Company Can Help to Keep my Website Updated And also idslogic team made such a great platform for readers. Thanks for sharing the role of hiring software development company.